PHOENIX – The fight over whether Arizona should get half of its electricity from solar, wind and other renewable sources turned bitter election night when Attorney General Mark Brnovich called out California billionaire Tom Steyer for using California’s energy policies to try to influence Arizona’s policies. Brnovich told partygoers to go outside to dunk a Steyer mannequin in the dunk tank that was set up. 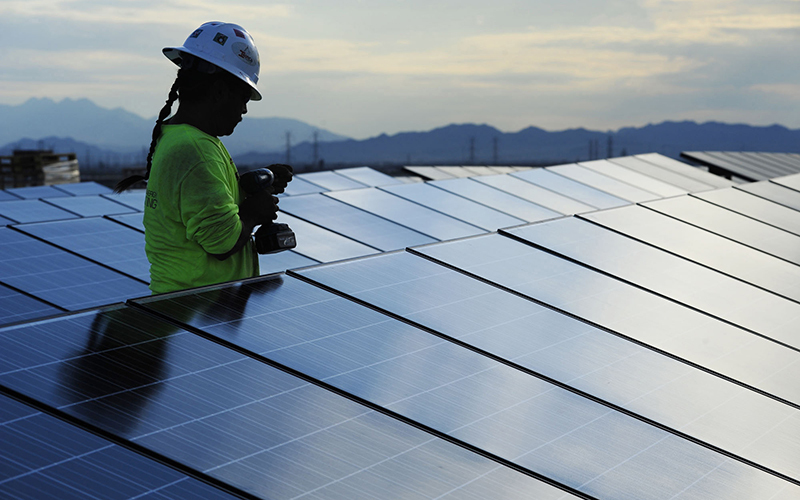 It was a moment that marked the end of a long election struggle over Proposition 127, which would have required Arizona’s 16 regulated utilities to get 50 percent of their energy from renewable sources by 2030. The current standard of 15 percent by 2025 was set by the Arizona Corporation Commission. Through his environmental advocacy nonprofit NextGen Climate Action, Steyer, a hedge fund manager, funneled millions of dollars to finance campaigns behind Prop. 127 and Nevada’s Question 6. Both ballot initiatives set the same goal and timeframe. But in Arizona, Steyer’s financial influence didn’t sit well with voters, nearly 70 percent of them said no to following California’s renewable energy path. Lincoln Davies, a professor in energy policy and law at the University of Utah, say Prop. 127 may have been too much, too fast for Arizonans. “California … I think, is seen by a lot of people as different than the rest of the West,” Davies said. He said he doesn’t think California’s policies would work well in most other states, particularly because California has been aggressive in promoting renewable energy. That’s one reason some Californians have moved east to Arizona, escaping policies, said Victor Riches, president of the Goldwater Institute, a right-leaning public policy and litigation organization in Phoenix. The institute did a study about the damage Prop. 127 could have in Arizona, and Riches said voters contacted him in appreciation after they read the study. “One of the fundamental problems with 127 in Arizona … was that it didn’t include nuclear energy as a clean energy source,” Riches said, “and a large percentage of our energy, in fact the bulk of it, is derived in one form or another from the Palo Verde Nuclear Plant,” which is operated by Arizona Public Service, the state’s largest energy provider. More than $54 million was spent for and against Prop. 127, making it the most expensive ballot measure in Arizona history, according to Ballotpedia. 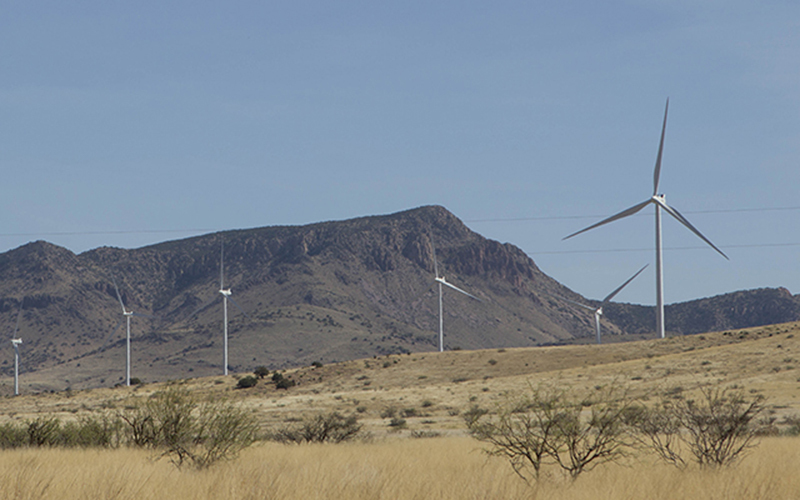 Clean Energy for a Healthy Arizona spent more than $23 million to support initiative, the bulk of that came from Steyer’s political action committee. Arizonans for Affordable Electricity, largely backed by Arizona Public Service’s parent company Pinnacle West Capital Corp., raised more than $31 million to oppose Prop. 127. “It’s tough to spend your way to victory,” said Mike Noble, chief pollster with OH Partners in Phoenix. Even if a “yes” campaign had more money, the “no” campaign had an easier job to do by poking holes in the message of the “yes” campaign, Noble said. In the end Matthew Benson, spokesman for Arizonans for Affordable Electricity, said the group’s message that ratepayers would see their electric bills increase, likely won the day. A study by the Seidman Research Institute at Arizona State University calculated that the average residential customer bill would increase by $1,936 as a result of the estimated rate rise between 2017 and 2030. Yet a fact check done by azcentral.com, found that even before California’s 2015 renewable energy standards took effect, utility rates had already been climbing since 2011. The conversation about the future of renewable energy with Prop. 127, the success of Nevada’s Question 6, along with states such as California and Hawaii that already have plans for 100 percent renewable energy by 2045, are indications of a developing shift in energy policy. The transition means there’s a lot at stake for groups that have worked decades to build current energy systems. Davies said there’s a “natural discomfort” when new energy systems like solar panels and windmills become more visible, which can cause concern as people think about energy in different ways than the past. “As we make that shift, it’s going to create friction and it’s going to cause people to have disputes and debates about what’s appropriate,” Davies said. Even though Prop. 127 failed, Stan Reynolds, an economics professor at the University of Arizona, said it’s likely not the end of the road. “This kind of thing will be gaining more traction over time. So I would expect this kind of thing to come up again and something akin to this may be passing in the next few years in Arizona and some other states,” Reynolds said. Davies said states likely will only ratchet up renewable energy goals rather than abandoned them.